The state of currency exchange in Belarus can be a bewildering experience for visitors, not to mention Belarusians themselves. With the National Bank of Belarus oftentimes dictating its own terms for currency exchange rates, or simply slashing the value of the Belarusian ruble dramatically at a whim, it's worth investigating the current state of the BYR throughly before a visit. Carefully compare the international bank currency rates to the Belarusian National Bank's rate before departing from your home country, as you can often get a better deal bringing some cash with you for exchange within Belarus, instead of the popular method of direct withdrawal via ATM. For obvious reasons, this is not a particularly viable choice if you plan on spending more than a few days in the country. Exchange bureaus can be found throughout central Minsk. Banks are also good places to exchange currency. Use your common sense and you'll usually get a decent deal. 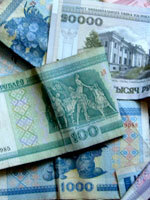 The best currency to bring to Belarus for exchange are Euro, American dollars, and Russian rubles. ATMs throughout Minsk accept the usual international bank cards, and are easy to find throughout the centre. Credit cards are accepted in most mid- to high-range restaurants and shops in the centre of Minsk, but it's best to carry some cash with you. If you plan on leaving the city centre, cash will be absolutely necessary. Traveller's cheques are not popular in Belarus but are accepted in major banks and some exchange bureaus. But who uses traveller's cheques anymore, anyway? The Belarusian ruble is a joke. Don't change all your hard currency on arrival - chances are you will get more rubles for your USD as the days go by. 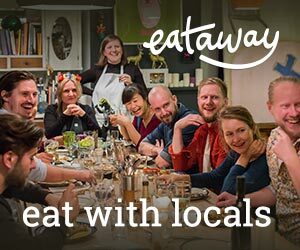 It's tough for locals, but great for visitors!